Bill Gates Really Wants to Become Immortal? This is huge. However, Mr. Gates sounded like he has no idea what to do in particular to achieve that. Immortality won’t happen on its own. In order to become immortal one has to slow down aging first. This can be done by funding research aimed at deciphering the mechanisms of aging and creating interventions to postpone, stop and reverse the detrimental processes of aging. Mr. Gates is one of those few people in the world who can actually secure significant progress in extending human longevity and reaching immortality. If Mr. Gates supports the following scientists, he has a chance on becoming immortal. 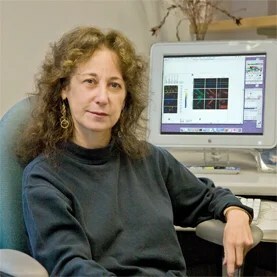 Here is the list of researchers, whose work is credible and productive: Nir Barzilai, Andrzej Bartke, Mikhail Blagosklonny, Maria Blasco, Judy Campisi, Claudio Franceschi, David Gems, Brian Kennedy, Cynthia Kenyon, Brian Kraemer, Valter Longo, Gordon Lithgow, Victoria Lunyak, Richard Miller, Richard Morimoto, Alexey Moskalev, Thomas Perls, Robert Shmookler Reis, Steven Spindler, Yousin Suh, Jan Vijg. So, Mr. Gates, where is your money? I think this is probably the most important question in aging research, because answering it may lead to those mysteries, and subsequently, clues to the problem of aging that we are now missing. What are those odd lifespans/metabolic patters/gene expression profiles/regenerative capabilities that certain animals have, but others don’t? What is that scientists dream of investigating, but can’t because of lack of funding and low chances of getting funds for such unconventional studies? What mysteries of aging do you know?